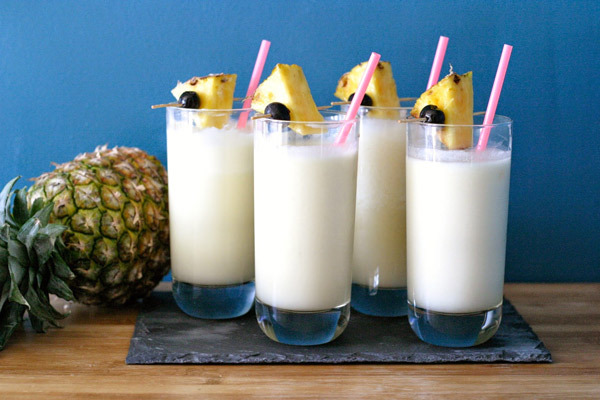 In celebration of National Pina Colada Day and ''Summer of Hell'' for commuters, on July 10, a New York City restaurant will unveil the largest Pina Colada ever made in history, July 10 at noon, Selena Rosa restaurant, 1712 2nd Avenue, corner of 89th St., New York, NY. They are giving it away free to patrons and offered to LIRR commuters and NJ Transit and Amtrack riders. The summer of hell was proclaimed by New York Governor Andrew Cuomo for the effects at Penn Station for the Amtrack repairs that go into effect on July 1 through September 10. The six foot glass will be served in front of the Upper East Side restaurant and will hold over 140 gallons of Pina Colada. The Pina Colada or "strained pineapple" in English, is a sweet, rum-based cocktail that includes cream of coconut and pineapple juice and is usually served blended or shaken with ice. The resturant plans to mix the oversized drink with a cement mixer. There are varying accounts as to who invented the Pina Colada but there is no debate that is was created in Puerto Rico and it has been the Island's National Drink since 1978. The Pina Colada became an internationally acclaimed cocktail when a bartender working at the Caribe Hilton Hotel's Beachcomber Bar in San Juan started mixing them in 1954. The Caribe Hilton holds proclamations from the Puerto Rican government that state the hotel is the "Birthplace of the Piña Colada." One proclamation was given by Puerto Rico Governor Sila M. Calderón in 2000, and the other was given in 2014 by Governor Alejandro García Padilla as part of the Piña Colada 60th Anniversary celebrations.